This project was an order. 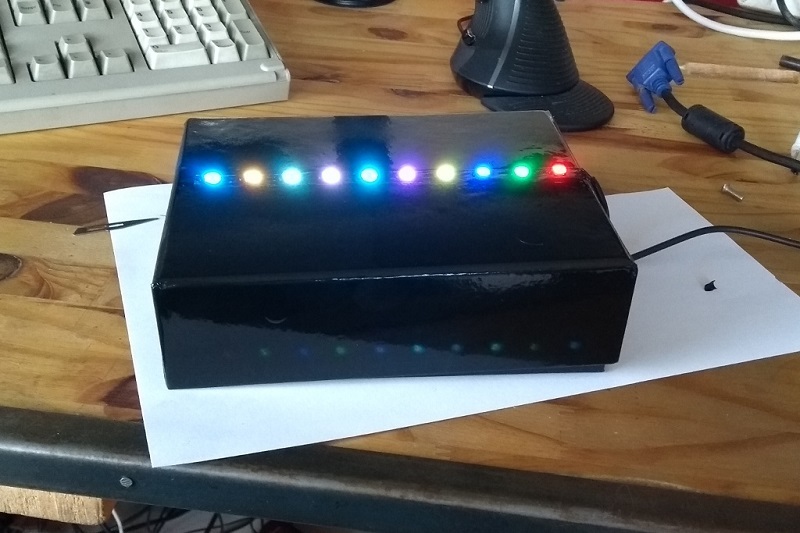 A developper needed to show differents status with a collection of leds. Only using backend development. 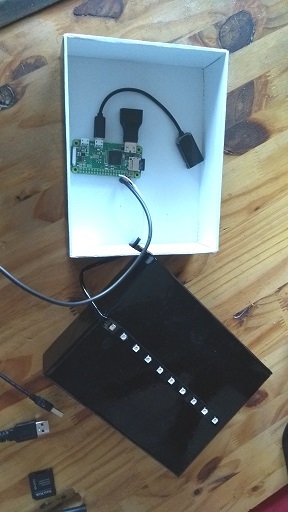 There is a specific hardware for this kind of project : a raspberry pi, especially a pi zero W because it is cheaper. 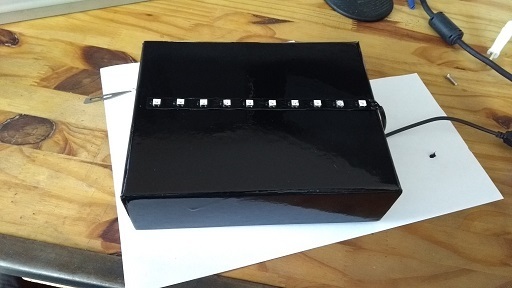 It is a cardboard packaging painted in black, using a spray. There was only one constraint for the size of this box : a mobile batery should fits in. Now, the job is partially done. I will not write a tutorial for using this led strip. See the examples directory in the downloaded library. I wanted the simpliest method for a backend developer. No ssh, no python script or anything else. Time was very limited. Send multiple leds status is available, that's why I use an array. Flask is a Python framework for REST API server. http://flask.pocoo.org/ I need only a single endpoint. A second one can be implemented, a GET request that returns the status. Not needed now :).